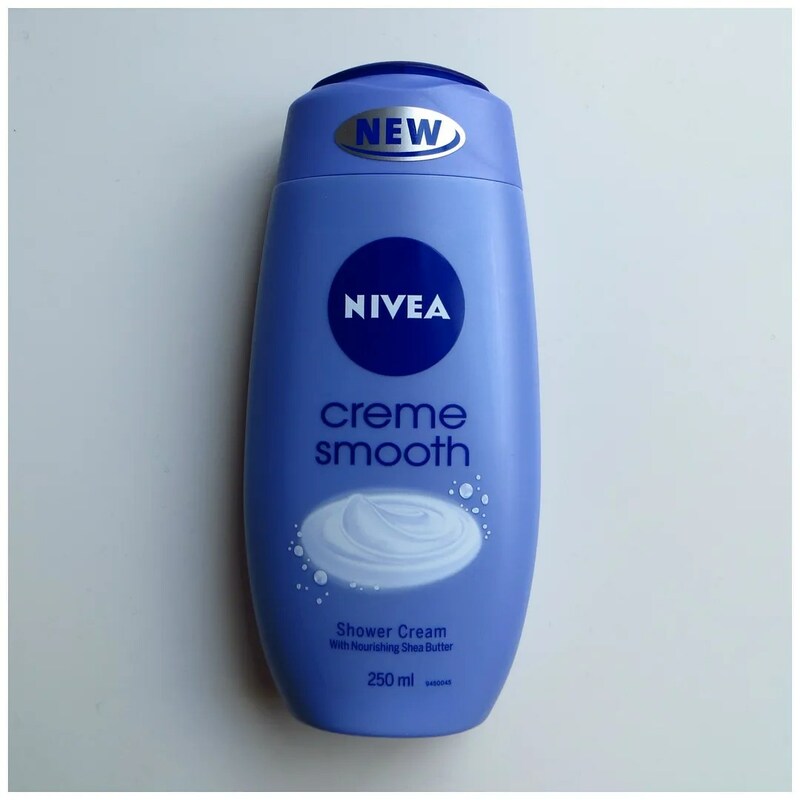 The other week I found some exciting news in my inbox: Nivea has released a brand new shower cream! When it comes to drugstore body care brands, Nivea is one of my favorites. I swear by their standard cream in the blue tin as my go to cream for dry patches and I actually love using it as a cuticle cream too. I requested a sample and to my surprise received the item in my mailbox the next day. I started testing it straight away and here’s what I think. 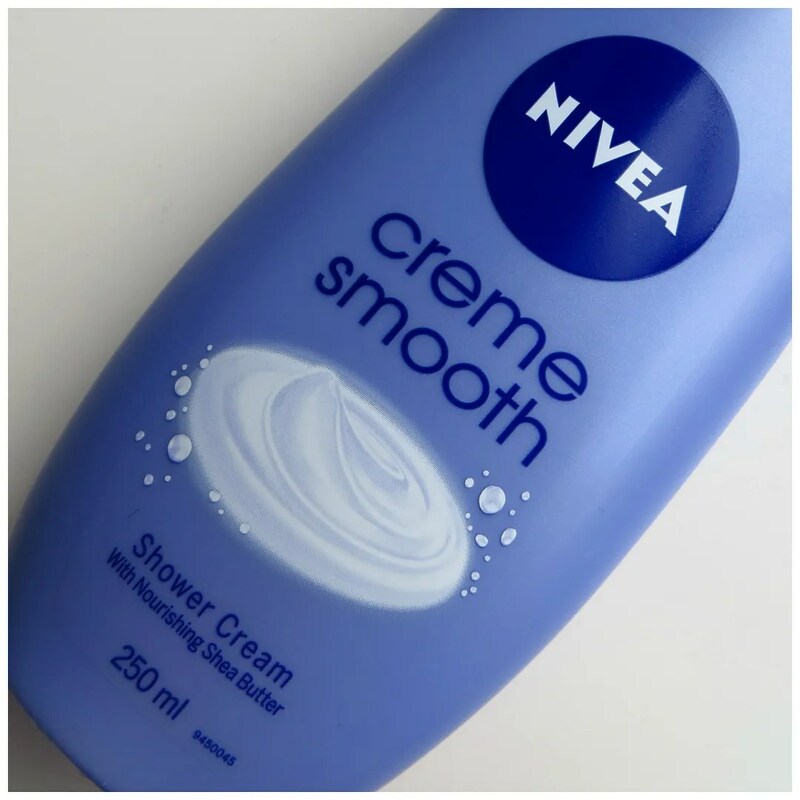 The Nivea Creme Smooth Shower Cream is inspired on one of Nivea’s most popular products: Nivea Silky Smooth Body Lotion. This product should combine the typical Nivea smell but leave the skin hydrated. 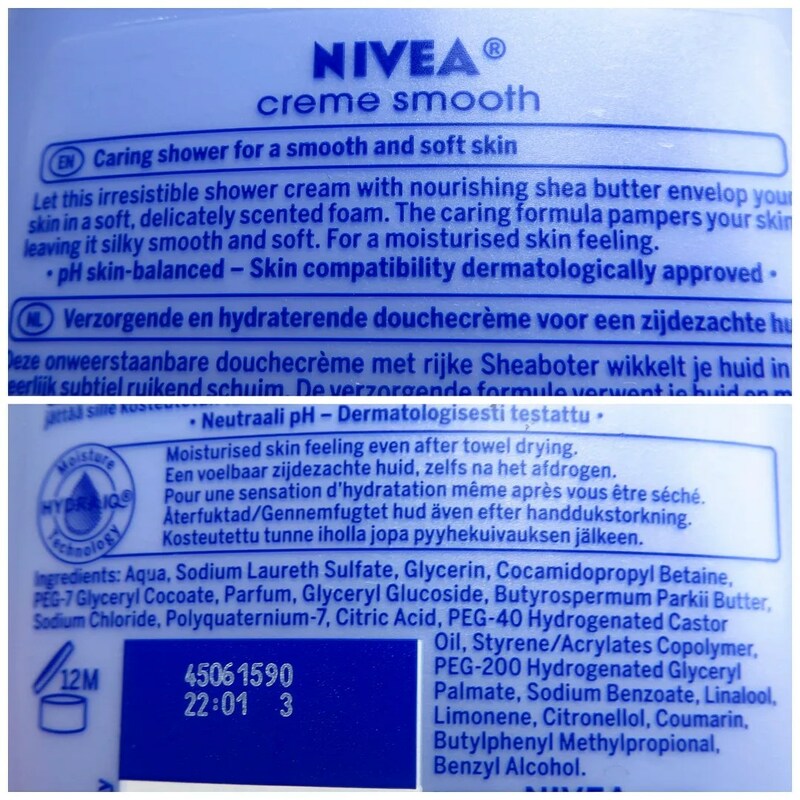 Nivea promises an experience in which your skin will feel soft during as well as after taking a shower. This shower cream retails for €3.49 and is available in stores now. The packaging of this product is simple. The light blue color makes it stand out against the regular blue and white Nivea packaging and the name is printed on the front loud and clear. 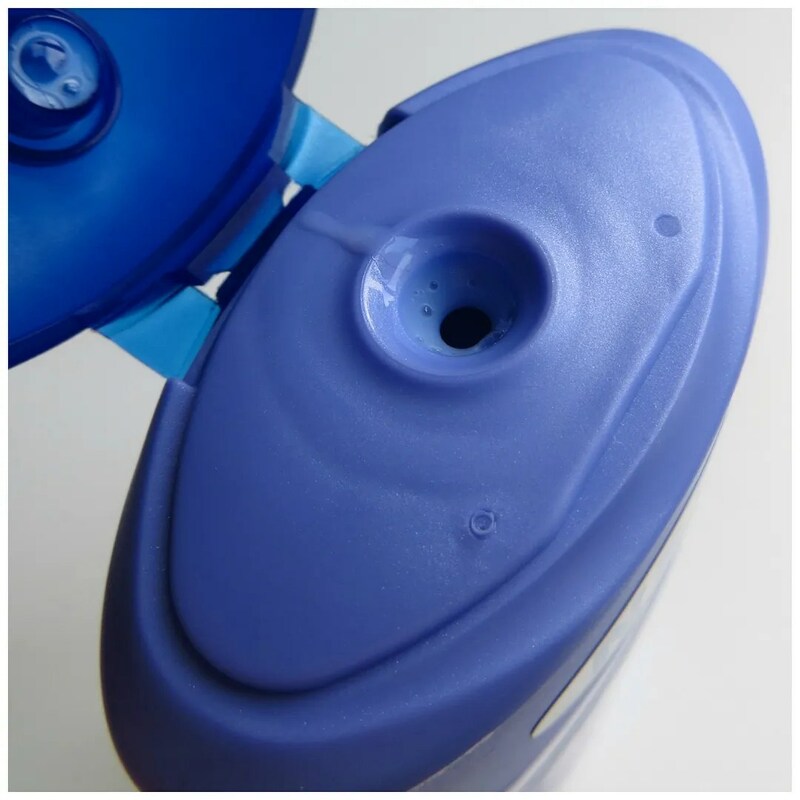 It comes with a simple clickable lid which makes the product easy to use. In total this bottle contains 250 ml of product. So compared to the price point, you get quite a bit of product for what you pay for. This product in particular is infused with shea butter which is an ingredient notorious for its beneficial effect for your skin. It hydrates, nourishes and moisturizes your skin and contains plenty of vitamins and minerals. Vitamins A and E help to soften and hydrate the skin, whereas vitamin F helps to protects and revitalizes the skin. In short, shea butter helps combat dry and dull skin. The formula should be rich and nourishing which cleanses your skin but at the same time balances it out to retain moisture. On the back of the bottle, the information states that you skin should be feeling moisturized, even once you’ve finished your shower. The ingredient list is not very exciting. Water, SLS, Glycerin: those are the 3 main ingredients. The promised Shea Butter is in there, but it’s lower on the list than perfume. And that latter piece of information had me worried. Yes, Nivea products smell amazing, and this shower cream is no exception. However, at what cost? I have fairly sensitive skin, so I was curious what this would do for my body. The shower cream is a very thick product. Thick and gloopy are the two words that come to mind. When you add water it creates a nice foaming lather which indeed makes you skin feel soft and nourished. I was surprised when I found it still feels that way once I finish my shower. With this shower cream I do not need any additional body lotion. So far I’m loving this product. I haven’t had too many problems with the large amount of perfume in the product. The other day I suspected an allergic reaction on my chest area as it suddenly flared up and turned red as I had just applied the shower cream there. However, when I used it again the next time I took a shower my skin didn’t act up again. In other words: that burst of redness may also have been caused by something else. I can conclude that this is a great addition to Nivea’s body care range. The product does what it promises to do and I love this now that it’s winter and my skin needs a little bit more help. It nourishes my skin to the point where I need no other products after my shower to moisturize my skin. The only downside to this is that it contains lots of perfume and SLS. If your skin is easily irritated or you are allergic to any of these ingredients, I think you may have to skip this one. What is your favorite Nivea product?